Whatever work there is on the ranch, this cowboy can get it done. 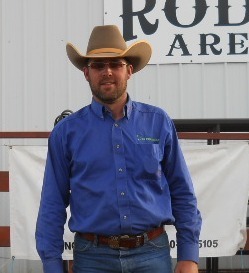 Proof came when Grady Gibb of Strong City was honored as “All-Around Cowboy” at the Kansas Championship Ranch Rodeo in Medicine Lodge. “It’s really a big deal to me. There were lots of good cowboys there from all over the country,” Gibb admitted humbly in his cowboy-way. “But, I didn’t do anything different at that rodeo than what I would any time. Everything just came together,” added Gibb, who’ll receive a custom-made saddle signifying his abilities. As a member of the second-place-overall 2i Feeders team from Allen, Gibb won the ranch bronc riding division, scoring 76-points on a bucking horse from Jimmy Crowther’s New Frontier Rodeo string at Roxbury. Gibb “never missed a loop” roping cattle, when designated to do so, including the wild cow, he also milked and ran the milk-filled-bottle to the score line way down the arena. 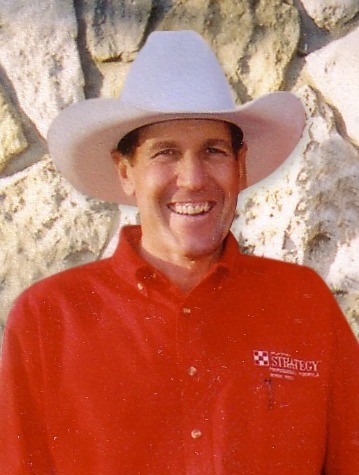 In the cattle-sorting event, where his team placed second, Gibb was responsible for sorting all of the numbered-cattle from the herd. Of course, he credits his mount for making that chore look easier than most likely it really was. “I ride a horse owned by my teammate Jason Gibson. We call the gray Quarter Horse ‘Gray,’ and he’s a good one. I’d like to own that gelding. I really appreciate Jason letting me use him,” Gibb credited. Likewise, Gibb was quick to acknowledge all members of the 2i Feeders foursome for their essential part in the team success. Clint Bohnen and Adrian Vogel are also on the 2i team. “Everyone is a great cowboy, and I really enjoy being on the team,” Gibb acknowledged. While 2i Feeders was second at Medicine Lodge, the team won the Working Ranch Cowboys Association competition at Meade earlier in the year, has placed high in many other ranch rodeos during recent months and will compete at the World Championship Ranch Rodeo in Amarillo, Texas, November 8-12. Certainly, Gibb’s recognition as “All-Around Cowboy” is no misnomer. In previous years, he has been recognized as “Top Hand” at the Meade Ranch Rodeo, as well as at the Thomas K. Reed Memorial Ranch Rodeo. An employee at 2i Feeders for three years, Gibb has just been on their ranch rodeo team this season. “I was a member of the Buck Creek-Lonesome Pine Ranches team the previous four years, and we went to dozens of rodeos,” Gibb reflected. Of course, Gibb was the one designated to mount ranch rodeo broncs. “I’ve got on lots of bucking horses in the past five years,” calculated Gibb, noting, without boast, that he’d qualified on all but three of them. “Those broncs were from the same contractor; they must have bucked harder,” he grinned. Still, Gibb’s true cowboy ability isn’t just circumstance. “I grew up on the Division Ranch, my dad Mike Gibb managed on the Chase-Morris County line, and I always wanted to be on a horse working cattle. I’ve always been a cowboy,” insisted Gibb, son of Sherry Wilson. Bull riding was Gibb’s earlier forte. “I won the Kansas High School Rodeo Association bull riding championship in 1994, and went to the National High School Rodeo Finals two years,” he remembered. Also collecting several team roping checks during high school, Gibb was honored as runner-up to the Little Britches Rodeo world champion one year as a header. “I rode a gelding called Shotgun back then. He was sure a good horse, too,” Gibb appreciated. Competing as a bull rider for more than a decade, Gibb collected a number of amateur titles and rode on the Professional Rodeo Cowboys Association circuit one year, before hanging up his bull rope to further his working cowboy career and raise his own family. Having worked for various Flint Hills cattle operations, managed summer grazing herds and done considerable ranch day work, Gibb now serves as assistant manager at 2i Feeders. “I like the job, but being in management does limit my time on horseback,” Gibb noted. With his wife, Alisha, Gibb has three children, Cade, 14; Tucker, six; and Ella, 18-months. “I think Tucker will be a cowboy, too; he sure likes it now, and Ella wants to ride whenever she sees a horse,” Gibb said. Gibb, 35, sees no near-term slowdown in his lifestyle. “I really enjoy being a cowboy and competing at these ranch rodeos. As long as I’m healthy, and it’s fun, I plan to keep going strong. This is a great life,” the all-around cowboy analyzed.